Seeing a home with a beachfront makes us feel the serenity and calmness of the dwelling especially with the ocean breeze and the sound of the waves. It is indeed refreshing, isn’t it? Facing the waters would surely give a home a cozier aura that would be best for relaxation and distressing. 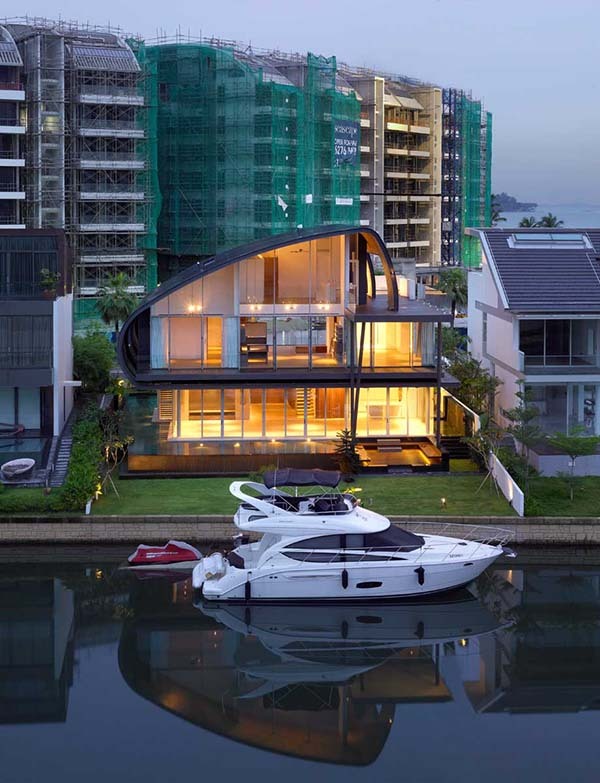 Today, we are going to show you a waterfront home located in Singapore. The home is called Nautical Lines which is a nautical themed eco-friendly waterfront house. 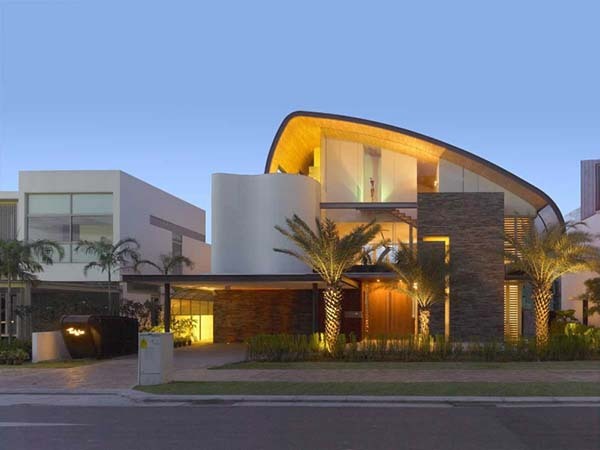 The house has a “sinuous wave envelope with large overhangs which helps to provide shading from the hot east and west sunshine, opening to both the north and south”. This modern home is like a boat hull wherein the underside of the ceiling has been clad in recycled teak. Natural cross ventilation is being provided from the sliding glass doors that allow fresh breezes from the water to flow to the interior. Recycled timber was used for the external decking to reduce heat gain. The home standout in the area especially because of its beautiful design. While the other side faces the water, the other side of the house is along the road. 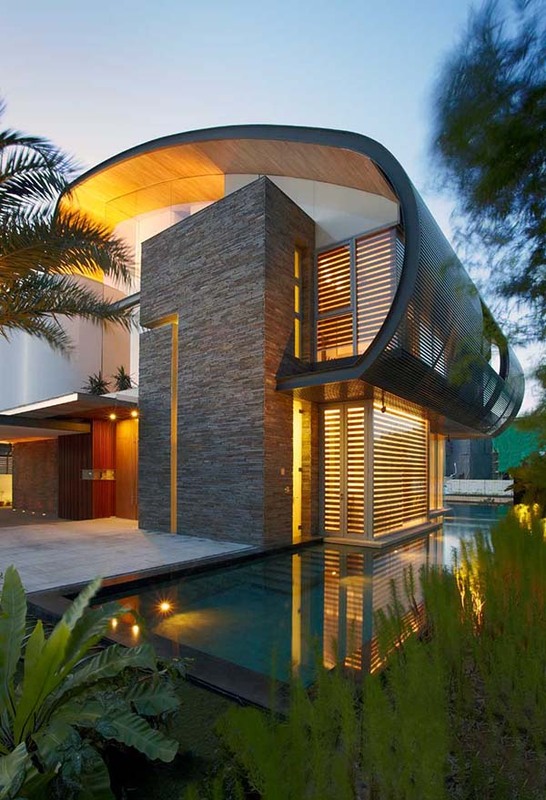 Seen here is the swimming pool that seems to wrap this part of the exterior. 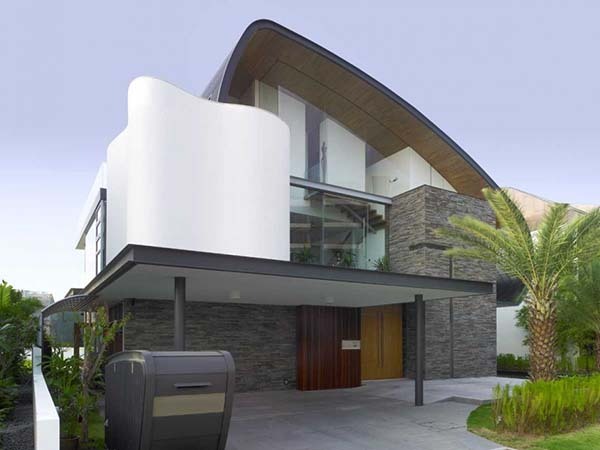 You can see that a mix of straight and curvy lines were used for the exterior of the house. 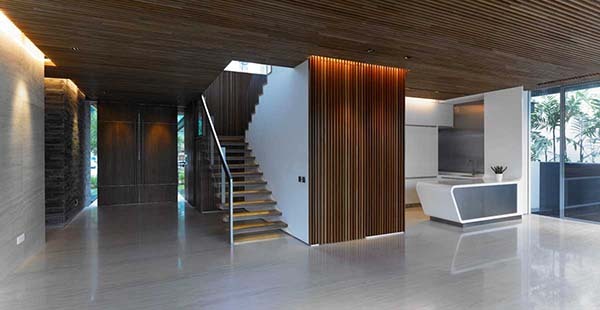 Inside, wooden materials clad the ceiling as well as other parts of the interior. 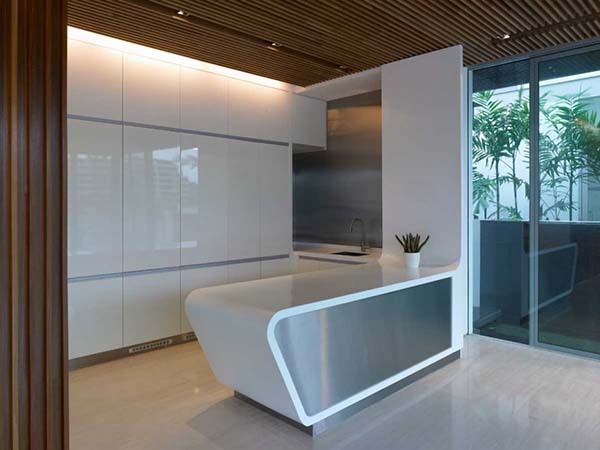 This kitchen has an ultra-modern design that looks a bit futuristic. But the lines in this kitchen can be credited to its nautical inspiration. 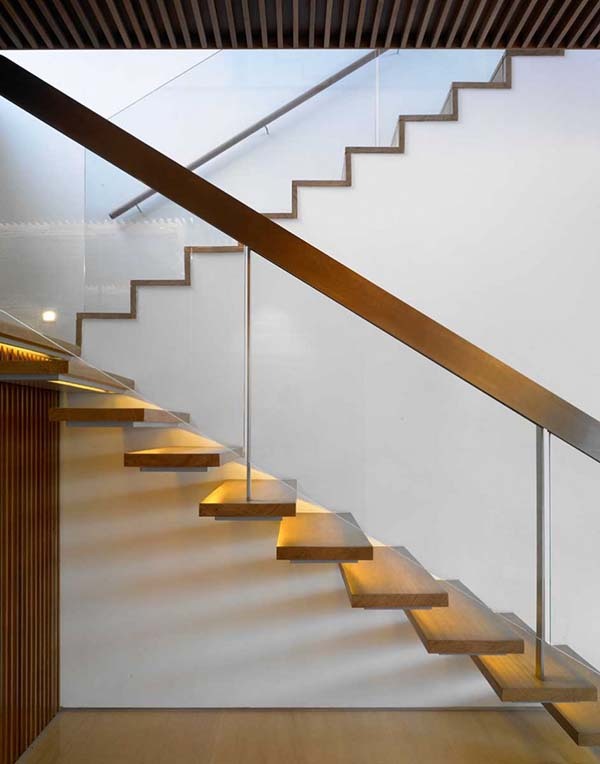 Floating treads with lights were used for the staircase that has glass and steel railings. 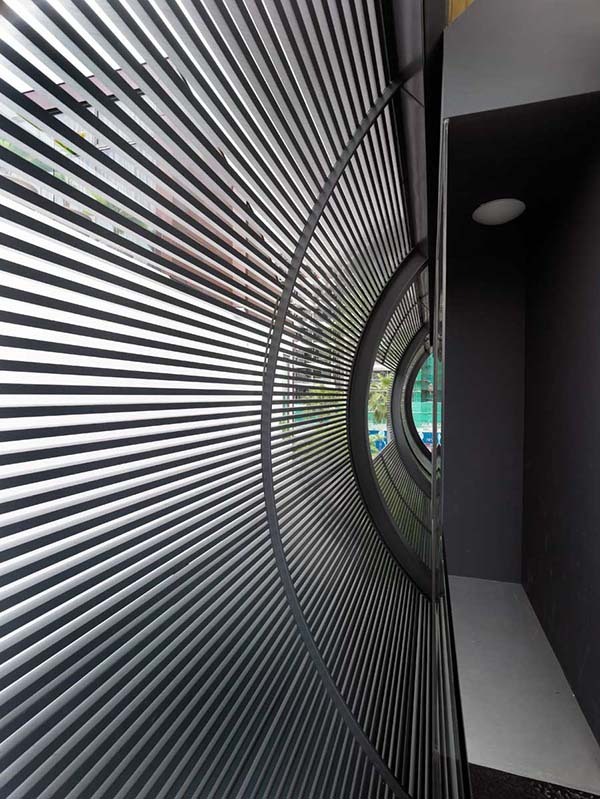 This is the portion that we saw from the exterior, shielding too much heat but allowing the entry of natural light. Adding flowers to the vanity of the bathroom could bring some refreshing feel. 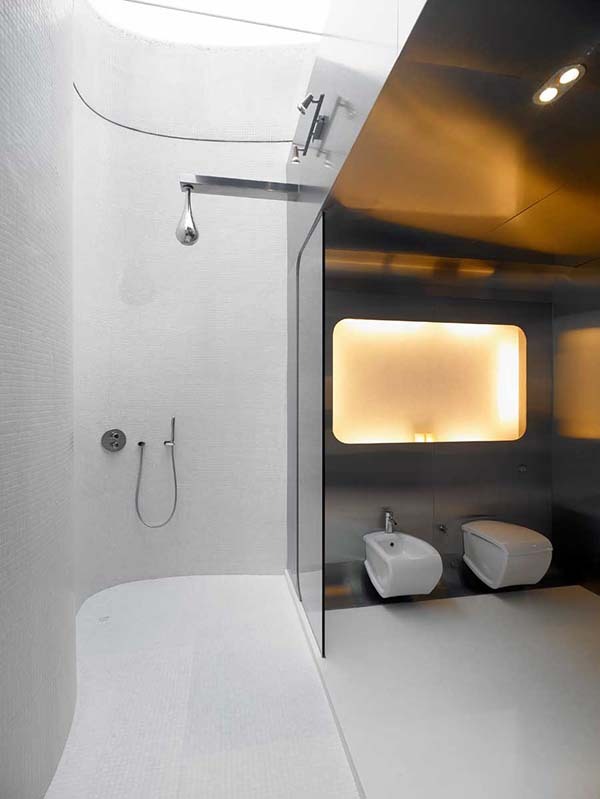 The walls of the shower area are curvy too! Guess you’d feel like you are inside a boat with this design. The lights would even give you that nautical feeling too. There are indeed amazing views from the house but if there isn’t a view from the ocean on some areas, the walls and built-in elements were curved to offer a reminder of the seafront context of the home. 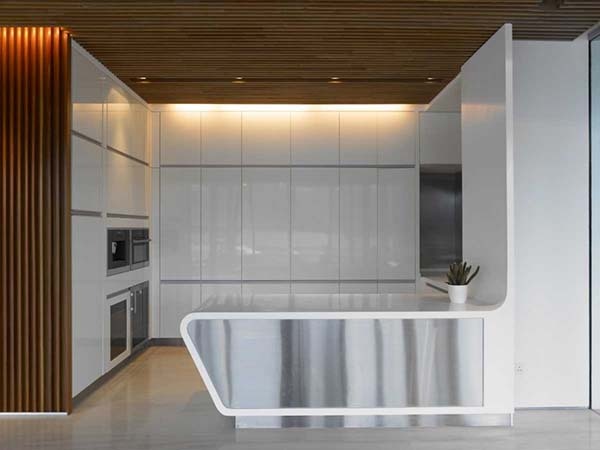 The design of Greg Shand Architects indeed mirrors a modern home that has a minimalist interior. You can see that the space inside the house doesn’t contain too much decors and furnishings. What can you say about this home?